In the United States if a television series is a success, with few exceptions it can expect to continue for year after year until it's cancelled (or on rare occasions, the creators themselves decide to end it). Things are different in Japan. While there are some anime that run constantly for year after year, for the most part, they are commissioned one season at a time. It's only generally after it's clear whether a series is a hit or not that they will order more. This means that there are often large gaps between seasons even for a major success (we're looking at you Attack On Titan). Two hugely successful anime franchises of recent years (both adapted from Light Novels, as it happens) have recently been revealed to have new seasons incoming. Firstly A Certain Magical Index will return for a third season in 2018. This will follow on from two seasons of the original show, a movie and spin-off A Certain Scientific Railgun. Season 3 will air as part of "A Certain Project 2018" although as for what else this will include (Railgun season 2?) your guess is as good as ours. Next up is Sword Art Online, which so far consists of two seasons and a movie. In fact, SWO is getting two new series. 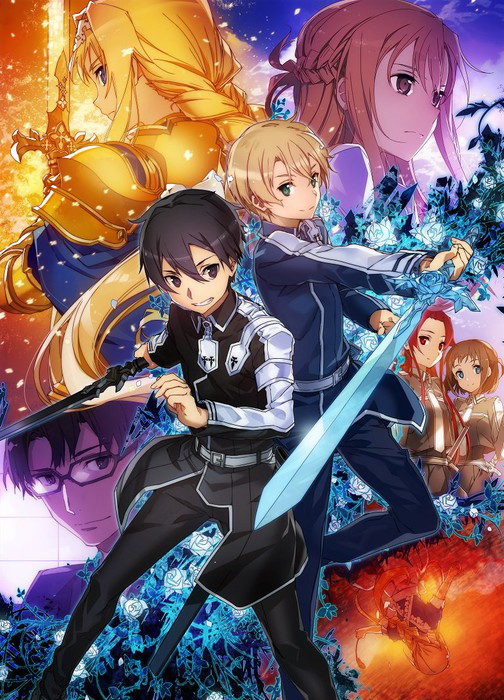 The first is a third season of the series adapted from the light novel series to be titled Sword Art Online: Alicization. This will adapt books 9 through 18 of the LN series and will centre on the further adventures of Kirito and Asuna. Secondly, a new spin-off series is planned based on a spin-off novel series set in the same universe. Titled Alternative Gun Gale Online, it will follow a new set of characters. Release dates have not yet been announced for either series.